18.12.2011 - Twelve years after their first World Champion title, Norway has written a new chapter of handball history by beating a battling French team 32:24 in Sao Paulo. 18.12.2011 - France face Denmark, whilst Norway take on Spain to reach the final. 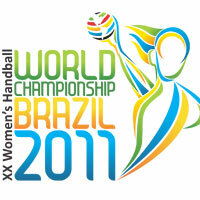 09.12.2011 - The World Championship in Brazil contains numerous EHF Women's Champions League players.